The organization that profits off abortion just lost a battle in the state of Texas. After trying to force the state to support them with taxpayer funds, the case was taken to federal court. The 5th Circuit Court of Appeals just gave Planned Parenthood some bad news. It is a win for pro-life Americans everywhere. Millions of Americans are horrified that our country allows abortion. Worse than that, our federal government helps pay for the extermination of human life — through millions given to Planned Parenthood. This organization claims it provides healthcare for low-income women. But many of its “services” relate to providing abortion. Politicians continue to support Planned Parenthood, because of its nefarious money-laundering scheme. Democrats in D.C. provide hundreds of millions to the organization. Then, come reelection time, Planned Parenthood dumps millions into Democrats’ coffers. This cycle has gone on for years, to the point where very few Democrats will ever oppose abortion (despite the fact that many represent states who hate it). But there is hope. With the appointment of two conservative Justices to the Supreme Court, President Donald Trump is getting closer to overturning Roe v Wade. In a matter of time, we might see abortion become illegal on the federal level. There are also state victories worth celebrating. In Texas, Planned Parenthood tried to force the state to provide Medicaid funds for their operations. Already receiving millions from the federal government, these abortionists wanted more of your tax dollars. 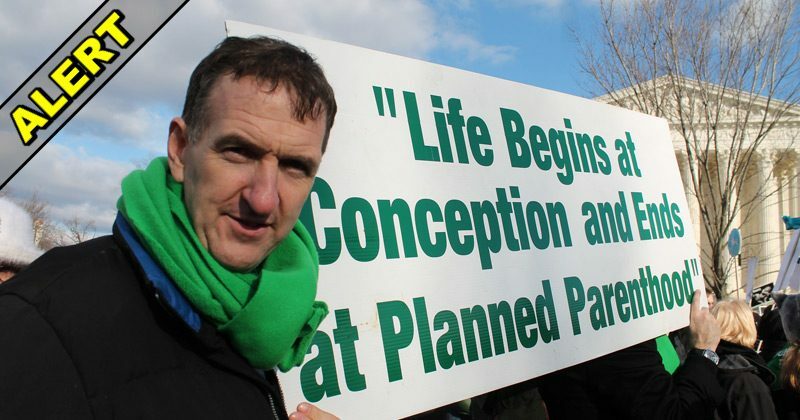 Thankfully, a federal court gave PP some bad news. Planned Parenthood can make excuses all they want, but abortion is a barbaric, outdated, evil practice. In an age where birth control is affordable and easily available, why do we continue to subject women and unborn children to such vile practices? Why, in an age where science has proven unborn children feel pain, do we allow abortionists to rip them from the womb? It’s bad enough that Roe v Wade legalized abortion in the United States. But for groups like PP to take our hard-earned tax dollars to profit from the murder of children? Can you imagine an eviller group? When Texas leaders stood up to this organization, they had the gall to sue them. The case had to be taken to the federal level, just so citizens could make sure their Medicaid dollars (which are supposed to be used to help the sick) weren’t used to fund abortions. We are still a long way from seeing Planned Parenthood defunded, though. This corrupt group continues to get millions from sources across America. They will fight tooth and nail to make sure they can keep aborting human life. Only when more Americans demand this heinous practice comes to an end, will anything change. This victory should be shared, though, so more citizens can celebrate it.